We have a small team of elite tutors in the Minneapolis area. What makes us different? Our tutors are ALL current or recently graduated college students, and over half are current PhD students. We know what it's like to be in school and can really relate to our students. 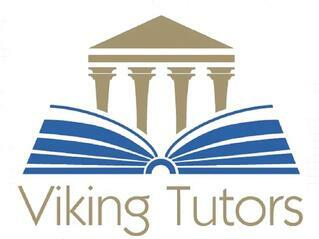 Craig founded Viking Tutors in 2011 while working towards his PhD at the University of Minnesota. Having worked for multiple tutoring companies previously, Craig realized that the formula for a successful tutor-student relationship is having a tutor who is not only an expert, but is passionate in sharing their knowledge. Craig enjoys playing and watching hockey, exploring the best restaurants of the Twin Cities, and traveling. Leon has lived all over the United States. He was born in Dallas, Texas, raised in Orangeburg, South Carolina, and graduated from the University of Pittsburgh with a degree in Japanese Culture and Language. He then went to Louisiana Tech University, where he received a Masters in Biology, and is currently at the University of Minnesota pursuing a Masters in Microbiology. After obtaining this degree, Leon plans to attend medical school at Mayo Clinic specializing in Infectious Disease. 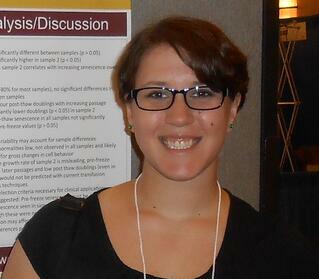 Katie attended the University of Wisconsin-Madison earning a B.S. in Biomedical Engineering. She holds a Masters in Biomedical Engineering and will earn her PhD in 2016. She has tutored with Viking Tutors since 2012, focusing on math and science (from middle school to college level). She also helps with ACT, SAT, and GRE prep (she scored > 95th percentile on these exams). We do have a few other tutors on the team in Minneapolis, but we do keep our network of tutors in any given city small - we seek to build a small, elite team in any given city. For a broader idea of the type of tutors we work with across the United States, browse our Tutor Team.